Millions of MLB fans are enjoying the Opening Week of the 2019 baseball season and British Baseball fans will do the same this Sunday, 7 April, as the NBL and Triple-A League seasons get underway, followed by the Double-A and Single-A Leagues on 14 April. The BBF schedules have been published and the five Herts teams have difficult opponents on Opening Day. 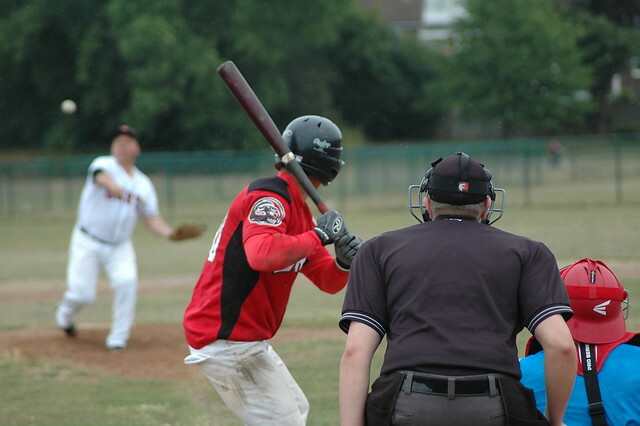 The Herts Falcons start with games against London Capitals and the Essex Arrows in a 3-team day at Finsbury Park. In the second week they travel to the reigning NBL champions, London Mets. This will be the first opportunity to see if the Falcons have been able to close the gap between them and the Mets since the end of the 2018 season which was dominated by the NBL champions. The Falcons will have to wait until 28 April for their home-opener, and it is set to be a special occasion as all NBL teams will be in action at Grovehill Ballpark with four games on the two diamonds. The NBL regular season will be played over 13 weeks, ending on 18 August. The Playoff Semi-Final and National Final will be played at Farnham Park on 24 and 25 August. The postseason is usually played in September, but it has been brought forward to August due to a clash with the European Championships where many NBL players will receive an international call-up from the GB Team and other European national teams. The Herts Londoners go into their inaugural season as one of three expansion teams in the Triple-A League. The other two are the East London Latin Boys and the Kent Bucs, both promoted from the Double-A League which the Latin Boys won last year. Similar to Tottenham Hotspurs and their newly-built stadium this year, the Herts Londoners will have to wait a few weeks for their first home game at their new Basing Hill Ballpark in North West London which is being built at the moment. 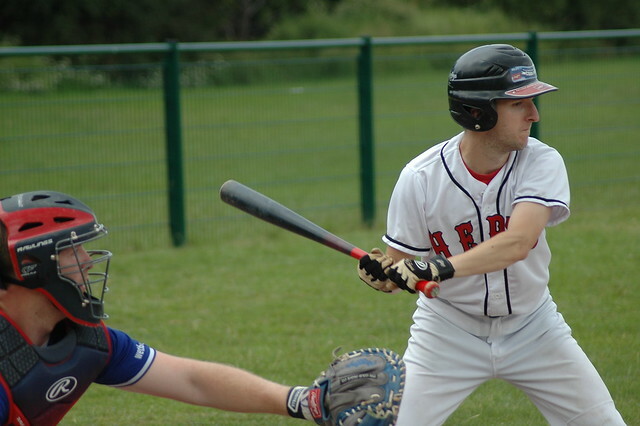 Until then, they will play their first two home games at Grovehill Ballpark in Hemel Hempstead starting with a doubleheader versus Kent Bucs on Opening Day, 7 April. Their first game at Basing Hill Ballpark will be on 19 May. The Triple-A League Playoffs will be played on 24-25 August alongside the NBL postseason. After reaching the Playoff Semi-Final last year, the Hawks will be hoping to go one better this time around. They open the new season on Sunday, 14 April, at home against the Richmond Dragons. They have been placed in a division which looks very different this year as the geographic boundaries had to be redrawn after the addition of the Bristol Badgers who were the 2018 runners-up having previously played in the Central Division. The Double-A Postseason will be played over three weekends starting with the Quarter-Finals on 25 August, Semi-Finals on 1 September and ending on 8 September with the National Final. Herts will be represented by two teams in the Single-A League. The Herts Raptors will play their home games at Grovehill Ballpark in Hemel Hempstead and the Herts Eagles will be based at the club’s new Basing Hill Ballpark in North West London. 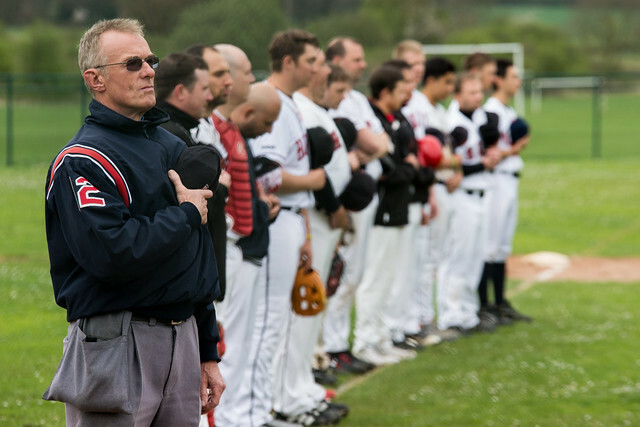 Both teams open their campaigns at home on 14 April – Raptors versus London Musketeers and Eagles versus London Mustangs which will be the first ever baseball game to be played at Basing Hill Ballpark. Both Herts teams are in the same division which brings the mouth-watering prospect of the Herts derby, which is always a special occasion for Herts baseball fans. Mark 14 July and 11 August in your diaries when the two teams will play at Grovehill Ballpark and Basing Hill Ballpark, respectively. The last Herts derby took place in 2016 when the Raptors were drawn to play against the Herts Hawks in the Single-A Playoff Quarter-Final. The Single-A Playoffs will be played over three weekends – Wild Card games on 25 August, Quarter-Finals on 1 September, Semi-Finals on 7 September and the Final on 8 September. There will be no games in any of the four BBF leagues on the weekend of 29-30 June to make way for the Boston Red Sox and New York Yankees who will play two regular season games at the London Stadium as part of the MLB London Series. It is not too late to register and play for the Herts adult and youth league teams based in Hemel Hempstead and North West London. In fact, the club has intentionally left extra capacity in the team rosters to accommodate the anticipated increased interest from new players on the back of the excitement surrounding the MLB London Series. Contact us for more details how to join or to come and try baseball at an upcoming open session.